Dr. Joseph has more than 5 years of experience as a General Dentist. Formerly, he was a school dentist at STI College in Iloilo City, Philippines. He also spent most of his time in charity works as an active volunteer dentist in the Philippines. 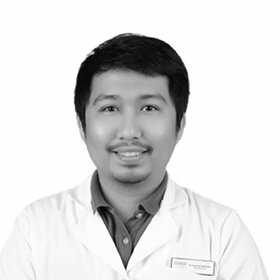 He pursued Dentistry at Iloilo Doctor\\\'s College in 2008 and continued his pre-dentistry at University of San Agustin. Dr. Joseph wants to share his skills and knowledge to his patients and committed to build a long term professional relationship with them.